June 3rd at the Inkwell was a great day! 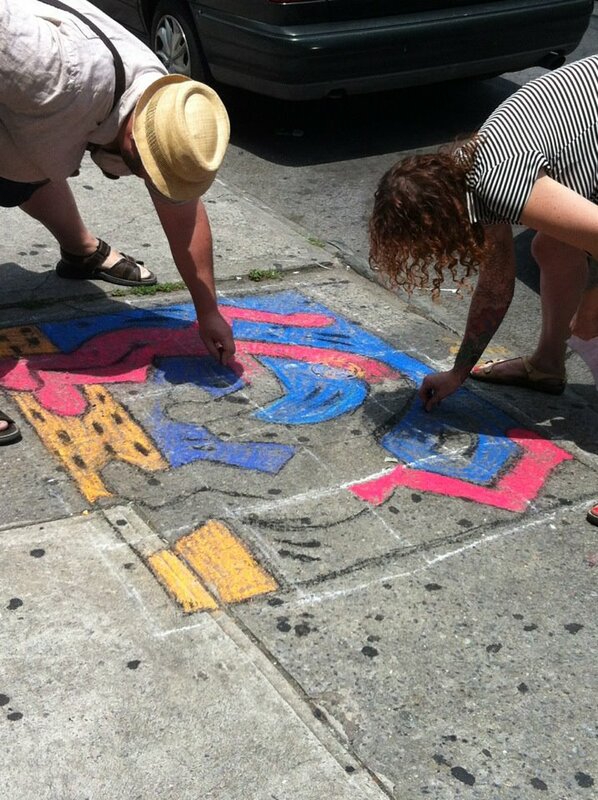 The rain held off enough for us to reproduce a few Keith Haring drawings in chalk on the sidewalk of Rogers Ave. 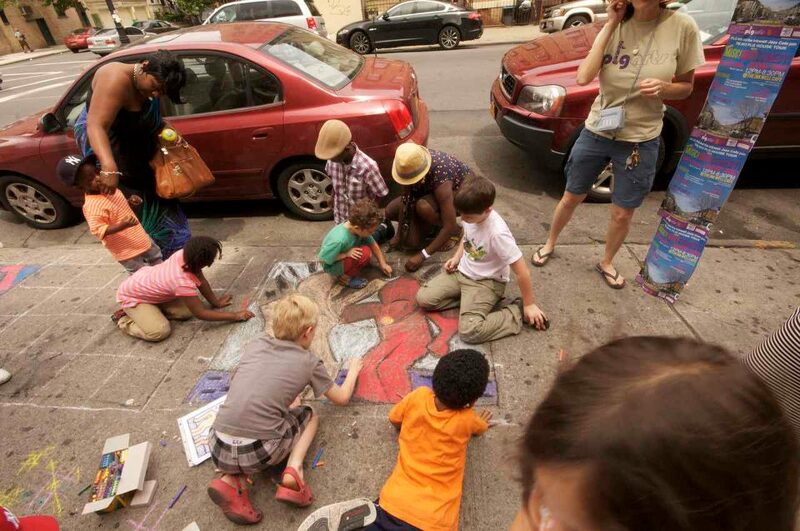 Kids and Adults collaborated to bring a little splash of color on the otherwise grey sidewalks. Inside the Inkwell, we had our first group art show on the walls with artwork from about 15 PLG community members. Music from the Joe Hertenstein Trio, Camila Meza and Rufus Cappadocia created a wonderful atmosphere over the afternoon. The crew at the Inkwell served up some fabulous food and drink. The day was finished with a stand up comedy performance. All in all, it was a fantastic way to spend a Sunday in Prospect Lefferts Gardens!